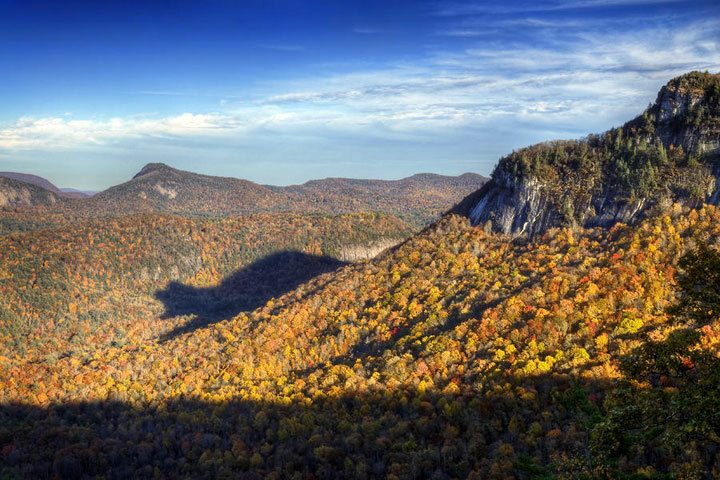 On the side of the 4,930-foot Whiteside Mountain, the mountain casts a shadow that looks like an enormous “bear”. This is only for 30 minutes starting at 5:30pm each day from late October through early November, and from mid-February to early March. The scenic fall foliage attracts tourists from all over, but this occurrence makes it a major draw. The best place to view the shadow is off Highway 64 at Rhodes Big View Overlook.